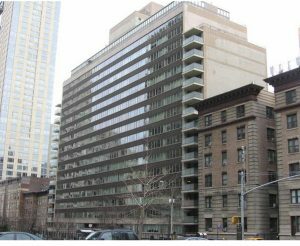 This 18-story co-op is located on 70th Street off West End Avenue. For many years apartments have experienced water leaks from the roof, terraces, walls and windows. The concrete balconies were deteriorated and potentially unsafe. AK Architect designed and oversaw an extensive restoration and upgrade of this building. This included new roofing, terrace restoration, railing redesign, balcony rebuilding, investigation, waterproofing and repairs to all facade and bulkhead walls. We designed a new window system, replacing the original double hung configuration with highly energy efficient and aesthetic casement windows which qualified for favorable NYSERDA financing.